Pat has been the Principal Physiotherapist for Pat Hunt Physiotherapy for 20years. 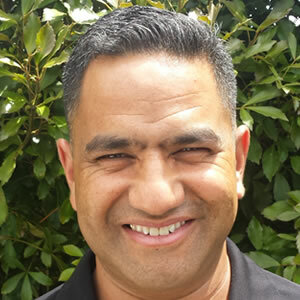 After graduating from Auckland Institute of Technology in 1994 he worked at White Cross A and E Glenfield before moving the practice to Te Atatu Peninsula to set up Peninsula Physiotherapy. Pat has a special interest in Sports Medicine and has been the Physiotherapist for many sports teams including the Auckland Rep Rugby Development Squad (2009- 2016), New Zealand University Rugby (2010-2014) and Waitakere City Rugby Club. Also opening a new clinic at Netball Waitakere (Te Pai Netball Courts) in 2016. Pat manages a busy lifestyle with 5 children and enjoys spending time with them and his wife Tarati. We warmly welcome Zoe to our team, who adds a smile and professionalism to the front desk. Call us on 09 843 9329 and Zoe will be on the other end of the phone call to help with any queries and bookings. Celsey is a bright and friendly member of our Reception Team. You will find her on the desk during the week and also at our new clinic at Te Pai Netball Courts. Celsey is currently in her last year completing her Bachelors degree at University of Auckland in Maori and Sociology.